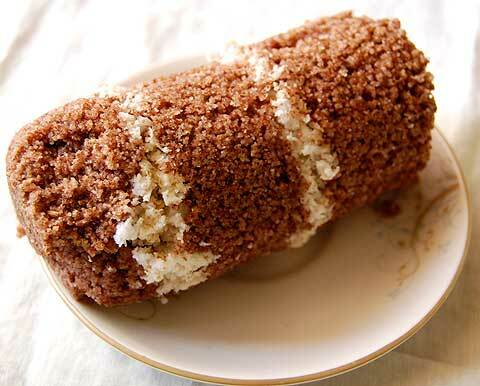 How to Make puttu mavu at home? Raw rice 4 cups give you 5 cup of grind rice powder. Drain water completely, keep in the netted basket for 10 minutes so that all the water gets drained well. Spread the soaked rice in a clean white towel. Grind in a mixie to a fine powder. You can sieve it to get fine fine powder. Spread flour on clean cloth or paper for 4 to 6 hours (overnight). Place a dry wok on the stove in low flame. Add the rice flour and start stirring the flour with a ladle. We want to heat the flour thoroughly, but in low flame. Do not stop stirring the flour. Not stirring the flour may burn it easily since heat gets through the flour very quickly. Remove the wok from the stove. Flour will be very hot, so take care. Resume stirring the flour for 2 more minutes just to release the heat from the flour. Keep the flour aside. Let it cool, Store it in airtight container and use it whenever you need. This will be very soft and tasty to eat with breakfast. In a wide pan take rice flour, a pinch of salt mix 1/2 cup of water little by little mix thoroughly until you are able to hold it as a ball. Sieve it to get the even texture of wet flour without any lumps in it. Place idly pan on the stove with 2 cups of water. cover idly plate with a clean white wet cloth and spread the flour on it. Steam cook for at least 15 minutes. 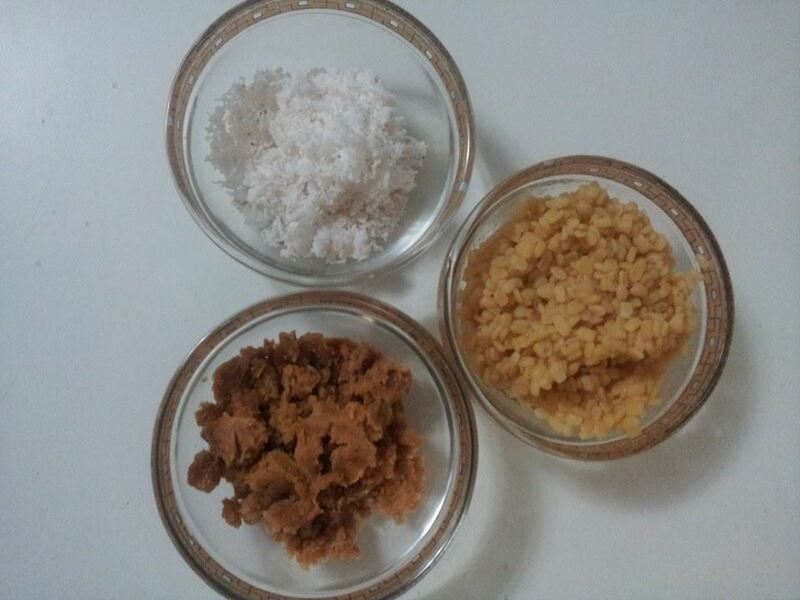 Remove from plate and bring it to a wide pan again mix with coconut, jaggery, boiled moong dal, ghee 2 tbsp. Fry Cashew and dry grapes in a teaspoon of Ghee and add with the prepared puttu. Rice Puttu is ready to serve.